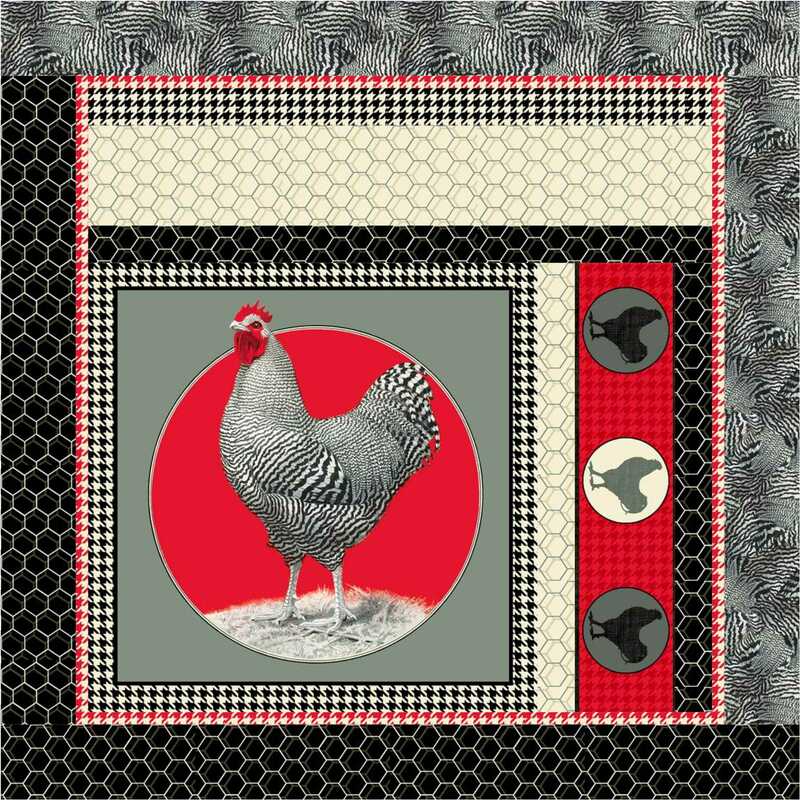 Hello Friends, a few weeks ago, I showed you these fabrics from Quilting Treasures‘ Rooster Royale collection, with which I used for an upcoming magazine featured project. 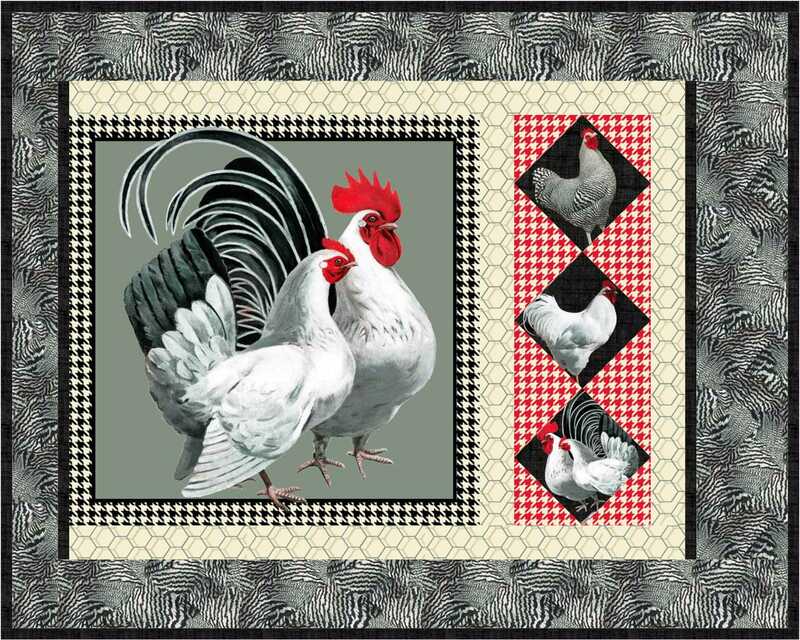 The Rooster Royale fabrics, with imagery from The Saturday Evening Post, are shipping to shops on August 1st! 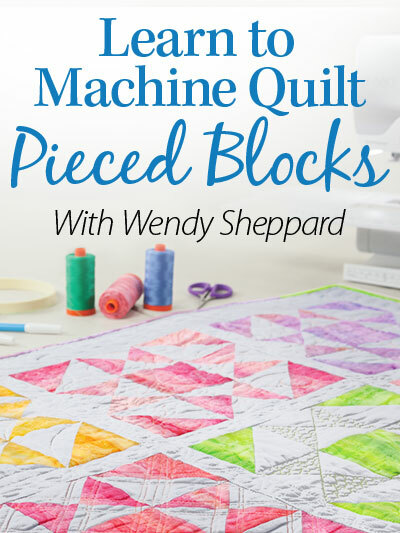 In addition to the upcoming featured project (should be coming out in a magazine issue very soon), I have also designed a few projects with pattern instructions available for free downloads on Quilting Treasures’ website. 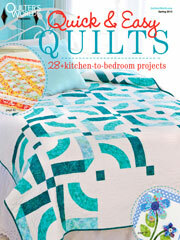 First, we have the quilt! … and the toss pillows. The 4 place mats and 2 toss pillows are made using 1 repeat of panel print fabric. I hope many of you are going to have lots of fun with these projects. I have designed these projects with gift-giving in mind – whether for yourself or for your loved ones. 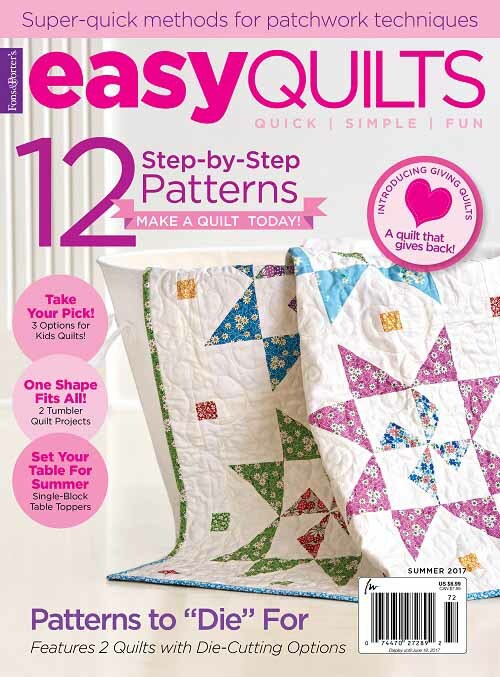 Click here to download pattern instructions for the quilt. 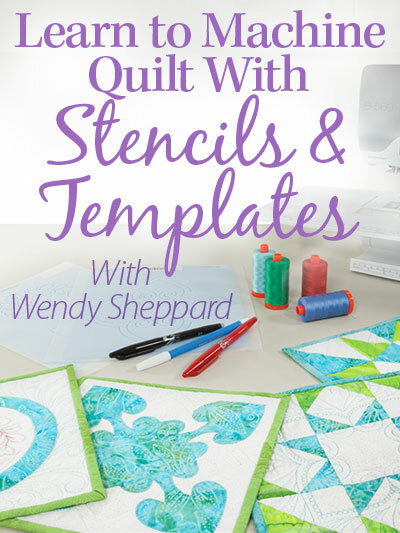 Click here to download pattern instructions for the place mats and toss pillows. Thanks for stopping by! I hope you have a lovely weekend. Hugs to you all! 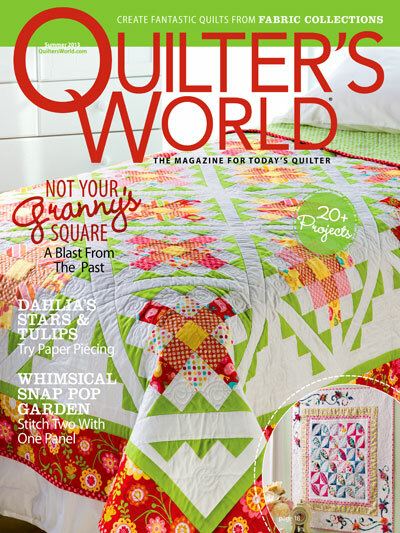 For more free patterns, look under the “Free Patterns” tab in the right sidebar. 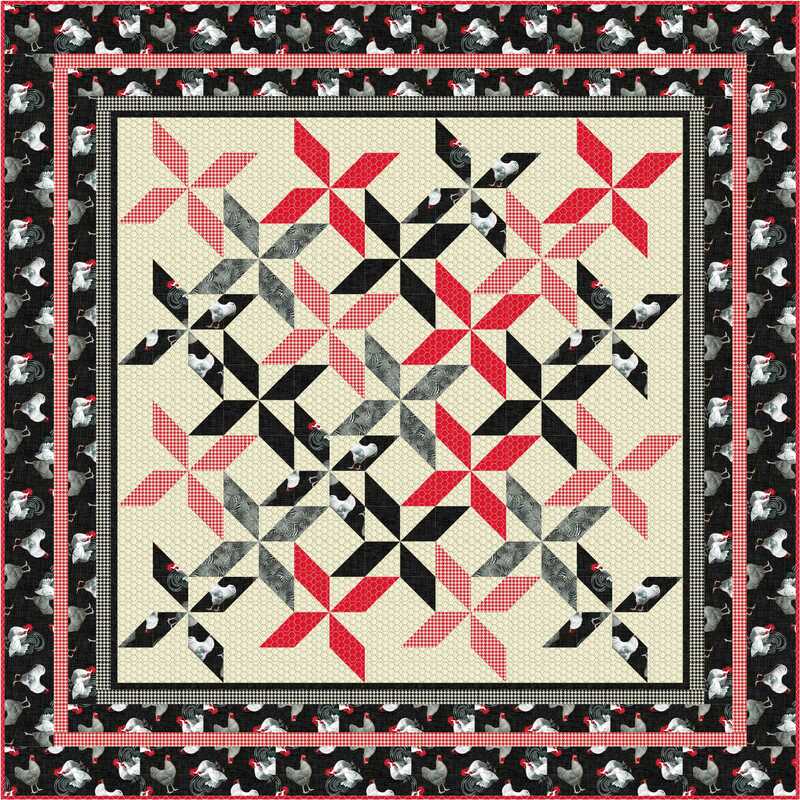 This entry was posted in Quilt kit, Quilt Pattern, Quilting. Bookmark the permalink. you’re right, I love the items you made with that fabric!! I’ll be on the lookout for it in stores!! 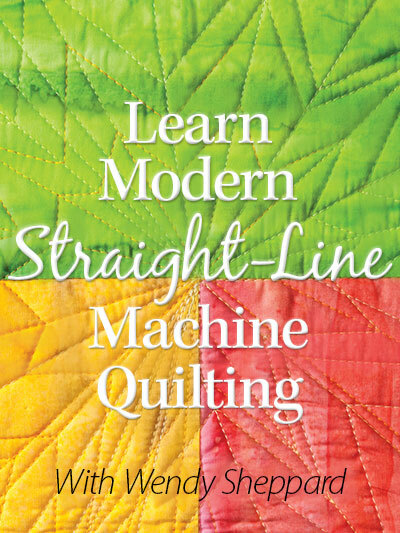 Thanks for the patterns! Those are fabulous! 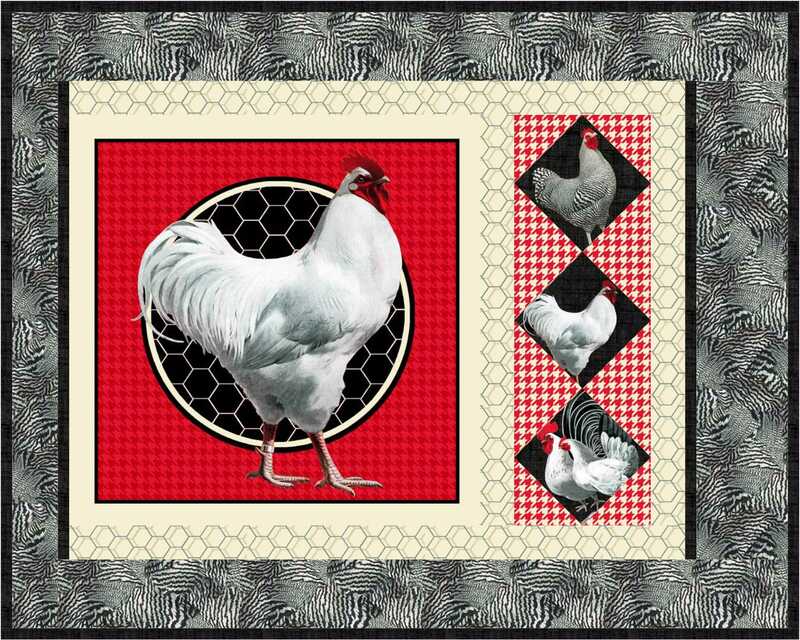 My SIL has her kitchen in a red and white chicken theme. I know what she is getting for her birthday. Thanks for the patterns. 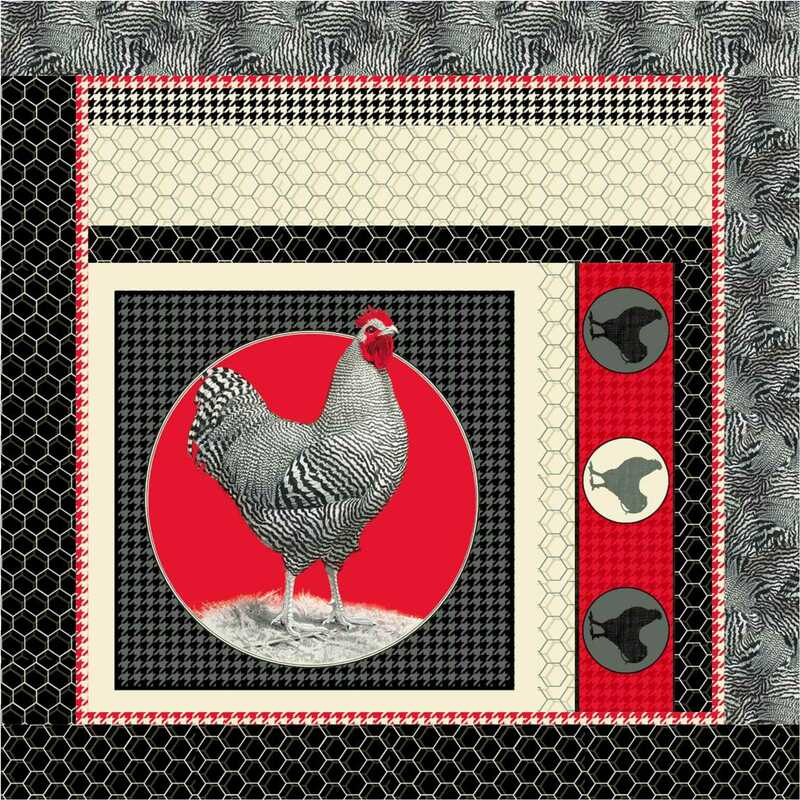 Great fabric love roosters.love how you featured the fabric so well. Love the pattern. Those roosters are cute! 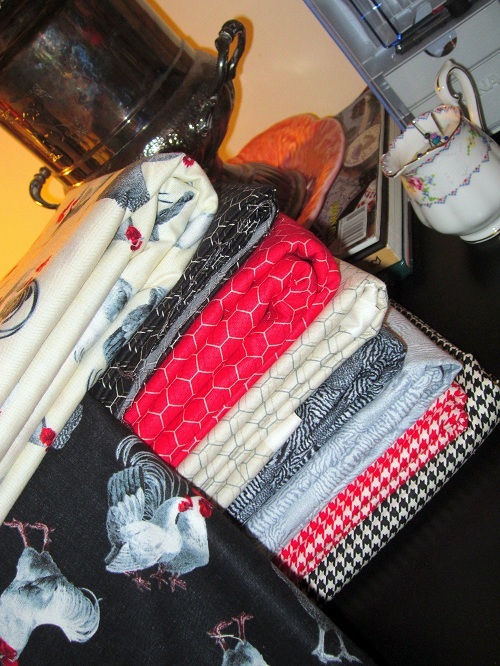 Great patterns to go with fun fabrics. I have a few chickens among my home furnishings. I’ll be on the lookout for the fabrics. Your chicken projects are wonderful, such fun, and just in time for county and state fair season. 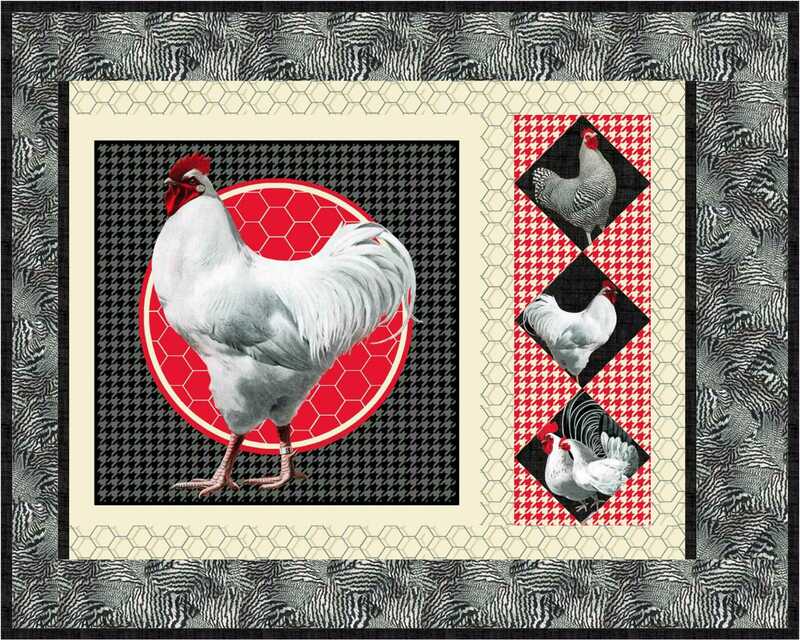 I’m afraid I am not a fan of poultry at all (except in meals :-) ), but I know they are hugely popular in decor just now. Oh, thanks for the pattern! I like it! 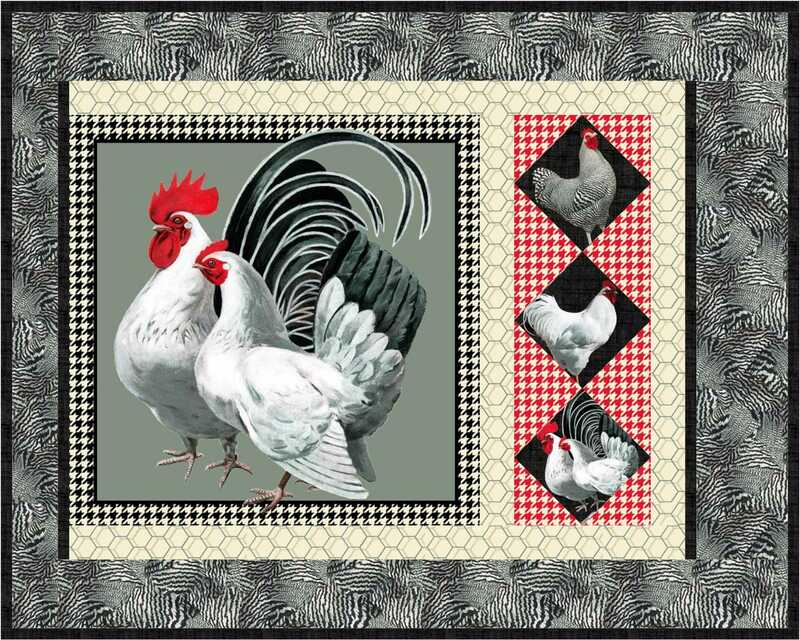 I love the quilt, but those placemats are going to make a fantastic gift for my d-i-l, who has a kitchen full of all kinds of chickens! :) Thanks Wendy! Who knew roosters could be so cute!?! I love the place mats and pillows where they are displayed in such glory. Thanks for the free patterns, which are the kind I can afford right now. How cute…..the chickens in the border! 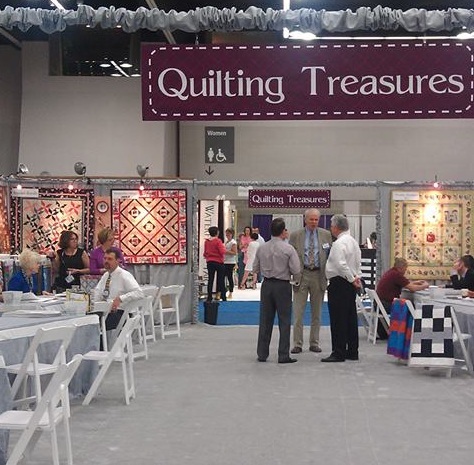 Sometimes I think it is nice to find a little surprise when looking at a quilt. Not only can this fabric be for a kitchen, it would make a darling quilt for a little boy!